It is finally February, I didn't think we'd get there but we have managed to in the end, and that also means the end of Veganuary. I think that this is my fourth year taking part and while I definitely did have a rocky start, I have now decided that I'm going to be fully vegan from now on. Although everyone slips up at times so I'm not going to be too hard on myself if I make a mistake every now and then. Veganuary this year, especially the second half of the month, has been incredibly quick and easy and apart from the few items I already had in my fridge that weren't vegan (and had to use up as I don't like wasting food), it's been extremely successful. One of my goals for the year was to potentially become fully vegan but I didn't know if I wanted to be completely vegan; however, after this month I'm going to be sticking to it as I personally feel as though it's the most environmentally friendly, compassionate, ethical and healthiest way to live. Vegan chocolate, even cheap vegan chocolate, is pretty good and I'm been lucky enough to find quite a few that I like with one of my favourites being from Benefit Chocolate. 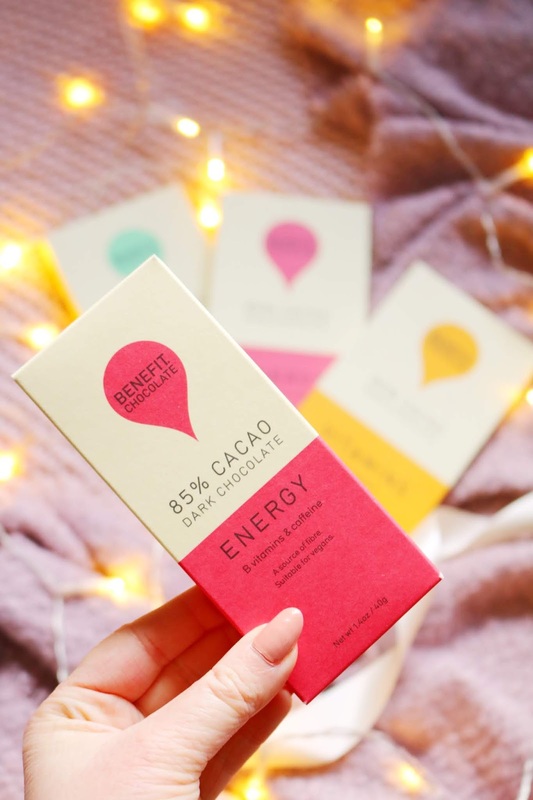 Benefit Chocolate is unique in that it is a vegan chocolate range with lots of added benefits, hence the name, such as extra plant protein, extra vitamins and added caffeine, depending on the bar you choose. I was very kindly sent all three of their flavours in the larger size and the smaller size. Firstly, I LOVE the packaging! The protein bar contains 19% plant protein which is a good source of fibre as well as protein. I wasn't sure how the additions would change the flavour or texture of the chocolate but the plant protein bar tastes like advent calendar chocolate to me which I actually love! I think it's fantastic that there are added benefits within the chocolate as I'm always trying to find new and healthier snacks. 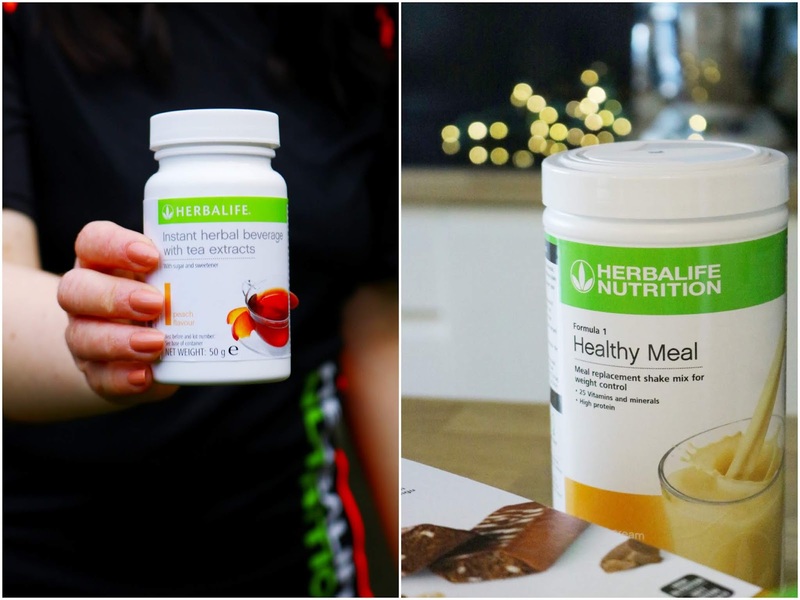 I was very kindly sent a few products for veganuary as well as a huge box filled with activewear, fitness products and Herbalife items from the wonderful people at Herbalife but sadly as I was taking part in veganuary, I couldn't try a lot of the items I was sent. I did try the 'cafe latte' flavour of the shake which is one of the few vegan items available and I think it's probably my favourite flavour of the three I've tried so far. I've also been loving the fitnesswear they sent recently as I bought a treadmill in January...If my PE teacher could see me now! I did everything I could to get out of PE lessons in school so to have bought, of my own free will, a treadmill is very out of character but I've put on a couple of pounds over Christmas and it needs to go. I'm loving my treadmill, even though I'm a little (read: very), terrified of it. Wing Yip is an Asian grocery store which has stores over the country including one in Manchester - they also have an online store. I was sent a range of their items which are vegan and my favourite of the three has to be the banana blossom. Banana blossom is an item I haven't ever tried before but I've read that it can be used to make a vegan alternative to battered fish. If you follow me on instagram (@ofbeautyand) then you'll have seen my experiments with banana blossom and batter...with mixed results but it turned out great in the end. The banana blossom itself does look very odd but don't be put off by it as it has a very neutral flavour so I soaked it in hot water with nori sheets and then I dipped it in batter and shallow fried it. If I made it again, I should have battered it more throughly with a thicker batter to help it stick and I would have deep fried it. Thankfully it isn't an expensive ingredient so it would be great to experiment with it you wanted to give it a go. I've been lucky enough to try out a couple of new brands of vegan chocolate duding veganuary and I would recommend both but in terms of chocolate that you can use for baking, the Seed and Bean chocolate varieties are the options to go for. 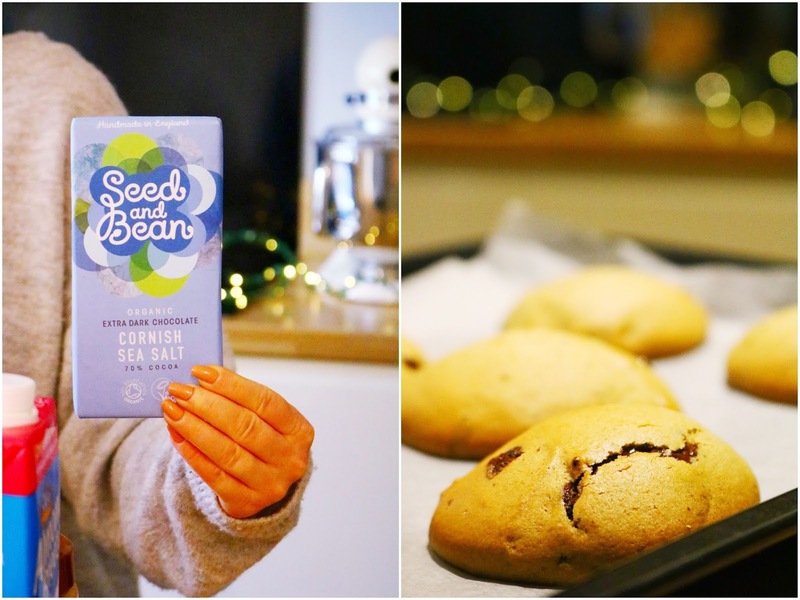 I used the gorgeous extra dark chocolate with Cornish sea salt in my first attempt at vegan cookies which tasted great but they had more of a soft cake texture rather than a hard, crumbly biscuit texture so I think it is back to the drawing board but the chocolate was the highlight! Until I was sent a couple of bars, I hadn't tried this brand before but I've heard good things. I love the packaging and the extra dark Cornish sea salt flavour is so good! I've never been a huge fan of dark chocolate but this one is ideal for snacking on or baking with. When it melts in the cookies, it not only looks delicious but it tastes delicious too. I definitely want to try more from Seed and Bean, especially the espresso, lavender or Sicilian hazelnut flavour, all of which sound very unique. One of the most unusual items I was kindly sent in January is the Weed and Wonderful oil which contains seaweed within the bottle. I have the organic smoked Scottish seaweed infused rapeseed oil which comes in the nicest bottle. I haven't tried a seaweed infused oil before and it's surprisingly delicious especially because it is smoked which gives it a gorgeous flavour. I've been using it mainly within my BBQ vegan macaroni cheese sauce (the smoked flavours adds to it) and minimally as part of my salad dressings. My dad isn't a fan but I personally love it and I think if you like smoked flavours such as liquid smoke, then I think you'd love this oil. 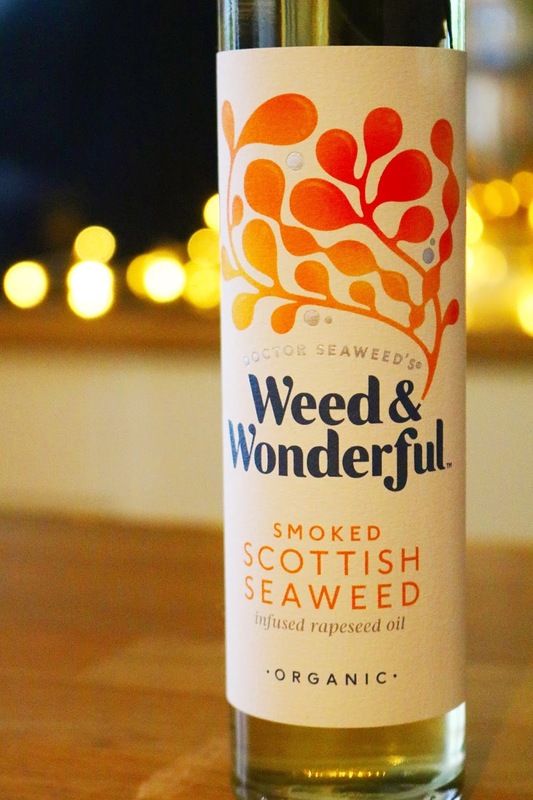 Don't worry, it isn't too seaweed flavoured, it is definitely more smoked in flavour which makes it much more adaptable. Now onto a few beauty products that I've been loving which are vegan and cruelty free including, Leighton Denny. I've tried this brand numerous times and I've always been impressed with their products and this new polish is no different. I have the Modern Bohemia collection shade in 'Bohemian Spirit' which is a beautiful cool dark grey. 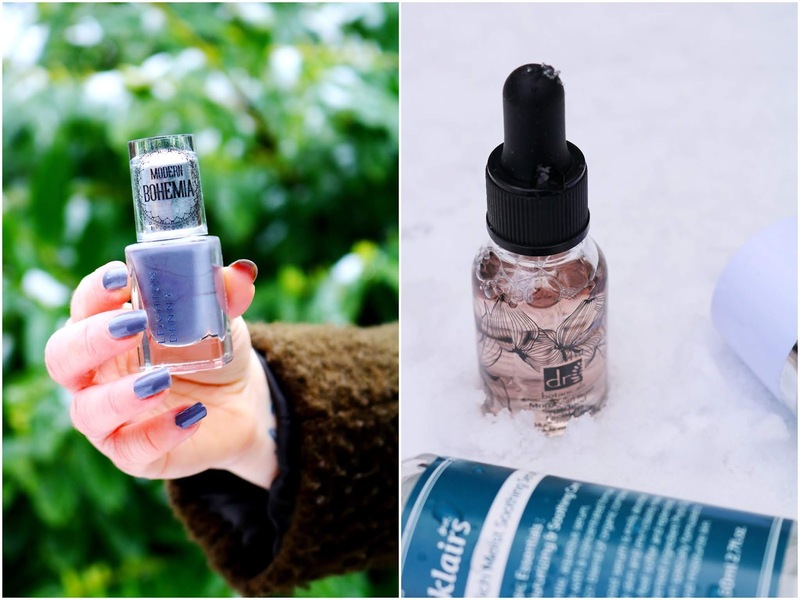 The shade is ideal for winter, it applies fairly smoothly and evenly and it dries pretty quickly too. I've been pairing it with the Sally Hansen Miracle Gel Topcoat and the longevity has been great so I cannot recommend it enough. Lastly is a product I've tried previously but the facial oil has recently been released in a cute new and limited edition bottle which I adore! Facial oils are an essential for me at this time of the year and this one has been working wonders on my perpetually dry skin, especially as the weather has turned even colder with snow and freezing temperatures. The facial oil contains almond oil and vitamin C and A which combined deeply hydrate the skin, reduce signs of ageing and protects the skin. It comes with a pipette dispenser, it smells lovely and it doesn't leave a thick or greasy residue. It would be ideal for those with a skin type similar to mine such as dry, sensitive or dehydrated skin. Have you tried any of these items? Did you take part in veganuary? 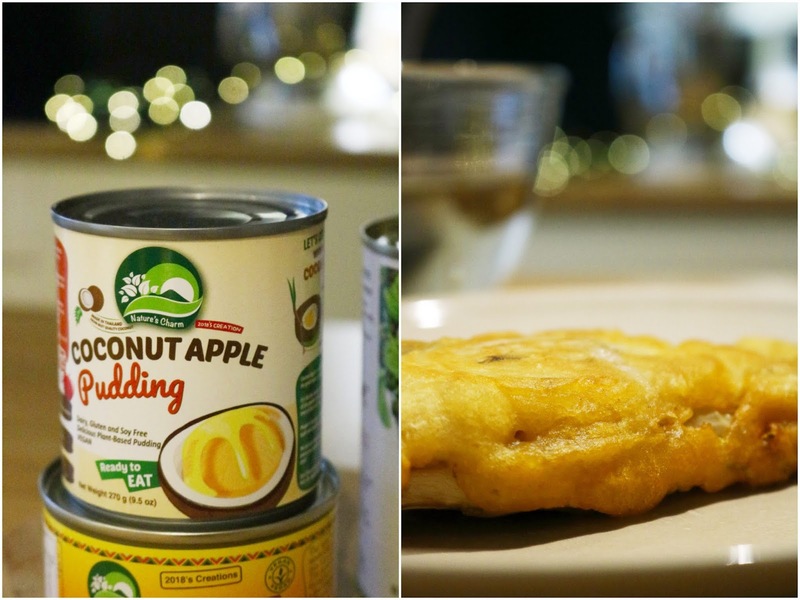 That coconut apple pudding sounds amazing! Quite a few people have been doing Veganuary! That nail polish is beautiful. I've tried a few vegan chocolate brands & I've been really impressed by them. Veganuary gave everyone a chance to try something different! Congrats on your decision! I’m not vegan but going vegetarian was one of the best decisions I’ve ever made. I'm so happy you decided to continue being vegan. I have been on and off for a while, but it's something I'm going to fully convert to soon.